Stir together the yoghurt, icing sugar, vanilla sugar and lemon juice in a large stainless steel bowl. Whip the cream until stiff, fold in. Cover and freeze the mixture for approx. 4 hrs., stirring 3-4 times. Peel the rhubarb and cut it diagonally into pieces approx. 2 cm wide. Heat the maple syrup in a wide-bottomed frying pan, add the rhubarb, and cook over a medium heat for approx. 3 mins. 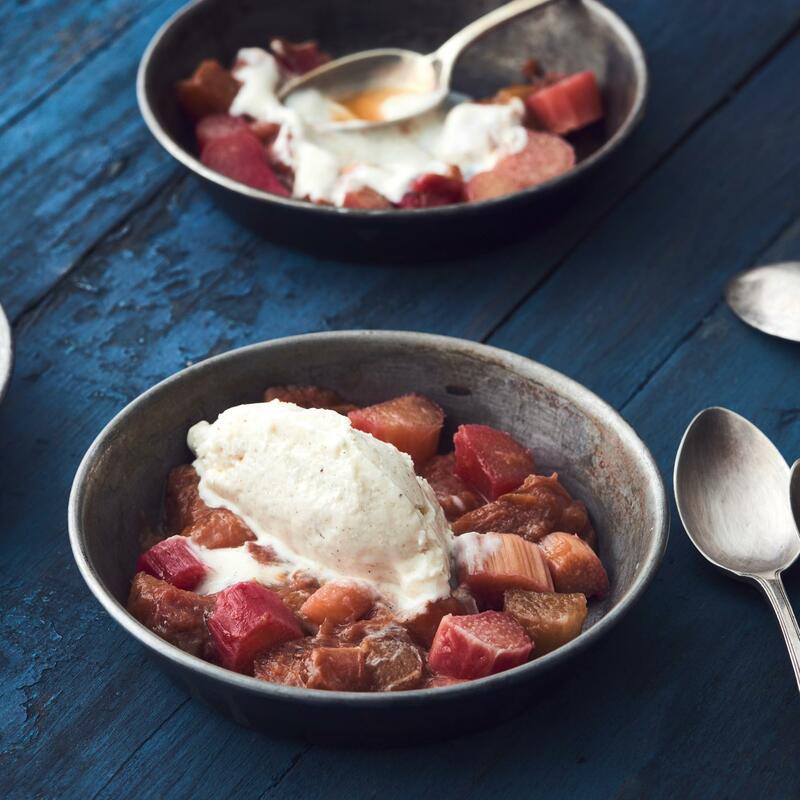 Serve the rhubarb and frozen yoghurt in glasses or bowls. Replace the rhubarb with strawberries (with just 1 tbsp of maple syrup).